It’s been awhile since my last post, did you all have a wonderful Easter? 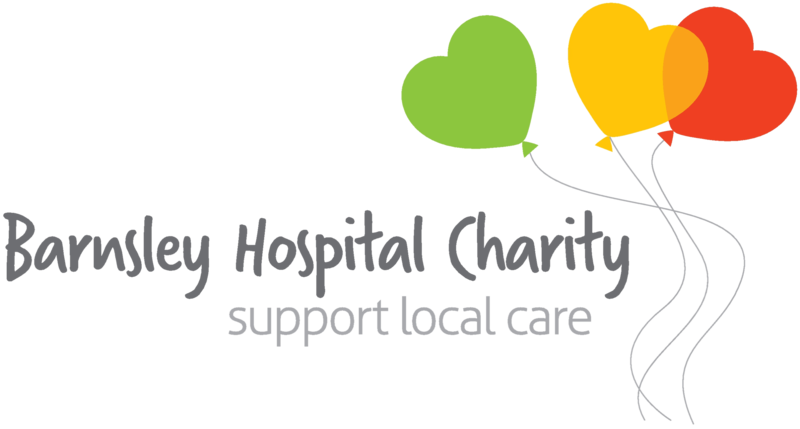 Recently in the charity we’ve been thinking about ways to get you, our fans, readers and followers more involved. So I had an idea to create an Instagram account. What better way to keep connected with you all, post photos and intrigue you all with short videos, or teasers if you like! So far we don’t have many pictures or videos on their but a lot of you have followed us and for that we want to say thank you! 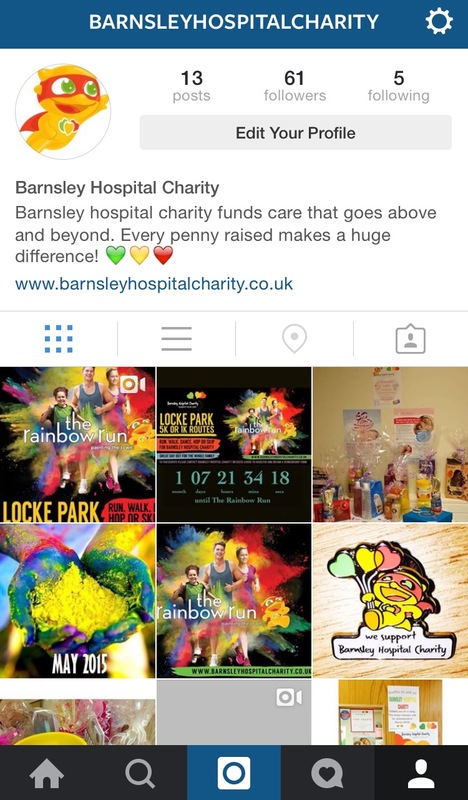 You could help us to raise Barnsley Hospital Charity’s profile by liking our posts and sharing our updates, tag us in your fundraising stories @Barnsleyhospitalcharity and send us messages about your ideas, we like to get to know our followers! So why not follow us and see what we have to share with you. As spring evolves into summer, we also edge closer to our Rainbow Run! We’re extremely excited, there’s so many plans that have been made, and a few things left to finalise but I can already tell that everything is going to be amazing! We have some really cool things happening before the event too and we’re eager to see how much sponsorship money you guys have raised!! We are urging you all to sign up, but why? What’s in it for you? 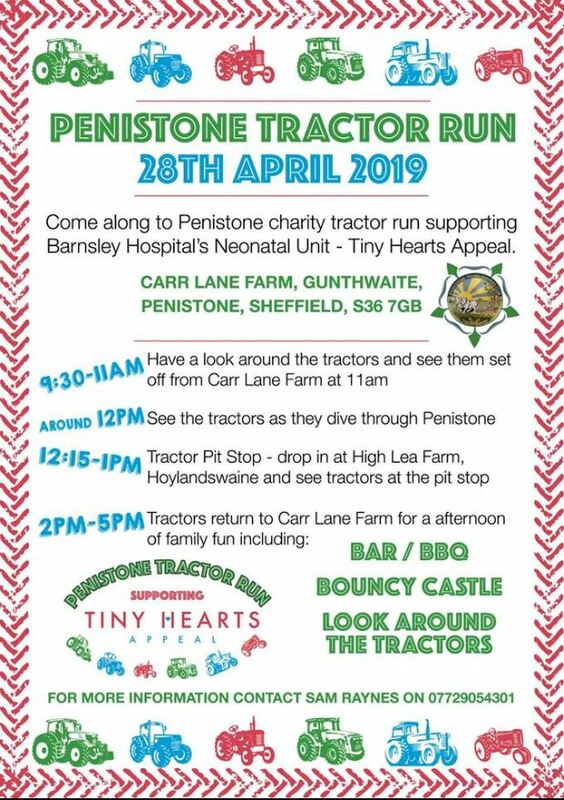 You should all sign up because the event is fun for all the family, people of all ages can join in, whether you’re pushing your children around in a push chair, walking round with your Nan or you’re strolling through the track with your dog, it’s a family event so you can all get involved! It’s at the beautiful Locke park venue, in the heart of the town! One of Barnsley’s biggest parks, with stunning scenes to keep you going to the finish line. You get to have a messy day! Have paint thrown on you while you race around the track, painting the town all different colours. And even if you don’t fancy running, you could still register to be a paint throwing volunteer! You can keep fit while having fun; it doesn’t matter when you cross the finish line, as long as you cross it! By starting to run or jog you’re going to be raising your heartbeat, pumping blood around your body, burning calories and improving your cardiovascular fitness and stamina, which will definitely improve your fitness! The weather is starting to look up now, which means it’s the perfect time to be going outside and having some fun! Will anybody be venturing to town on Saturday? What about doing a spot of shopping in the sunshine or getting some lunch? If you keep your eyes and ears open you might just see a few members of our charity team out and about in the town centre, along with some of our lovely fundraising friends!